It is estimated that Dyslexia affects 20-30 percent of our population. Even though people with dyslexia have average to above average intelligence, their dyslexia creates problems with reading, speaking , thinking, and listening. This, in turn, can create emotional problems and self-esteem issues throughout their life. Self-esteem can be a contributing factor for low grades and overall under achievement. The main difficulty for dyslexic students is poor phonemic awareness. Phonemic awareness is when the listener is able to hear, identify and manipulate phonemes the smallest units of sound that can differentiate meaning. Separating the spoken word “bat” into three distinct phonemes, /b/, /a/, and /t/, requires phonemic awareness. A dyslexic student’s brain may only hear one or two of those three sounds. Developing phonemic awareness is the first step in learning to read. The good news, is those with Dyslexia can physically change the way their brain functions with multi-sensory intervention and cognitive therapy. 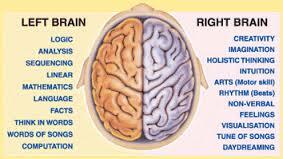 They can be trained how to effectively use the left side of their brain and thus improve reading.